You might be thinking to yourself, um, Emily, what’s up with all this posting? Well, dear readers, I am leaving for a week-ish long vacation on Saturday. Sure, I could schedule these posts for next week, but I’m not sure what kind of internet connection I’m going to have (if any) throughout my week away, and I like to be able to stay on top of comment moderation. I would like to state for the record, that this cake and the Summer Cherry Cake I posted about were made about a week and a half apart. We’re okay with cake, but let’s be honest folks, we’re really more pie people, and I don’t think we could eat that much cake in that short of time span. 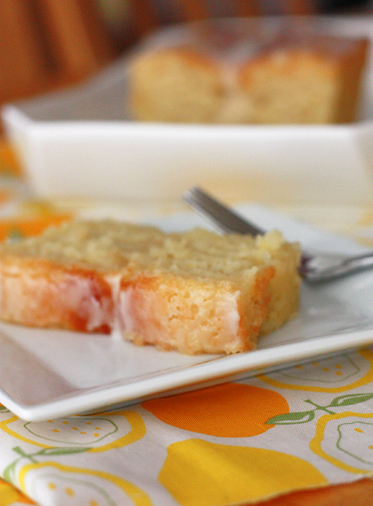 So, give us a week and a half in between and we were LOVING this lemon cake. Yogurt cakes aren’t exactly new, and I know several of my favorite bakers have made some great ones. I also knew I wanted this cake to be lemony to the MAX. So, for my inspiration, I actually combined ideas from Ina Garten and Dorie Greenspan. 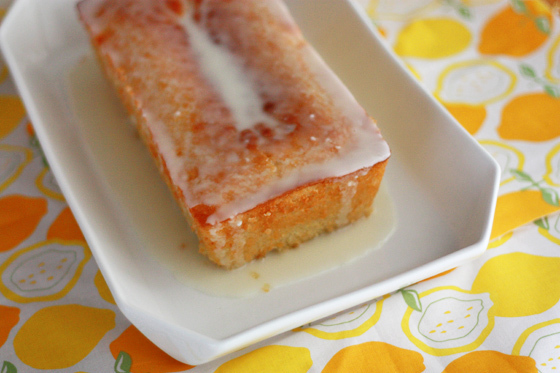 I used Ina’s idea to make a lemon simple syrup to drizzle over the cake as well as a lemon glaze. I modified Dorie Greenspan’s lemon cake recipe, punching up the lemon flavor with a little lemon extract, and voila: one LEMONTASTIC cake! It was incredible! Notes: If you like lemon but don’t LOVE lemon, you can leave out the lemon extract for a milder version. It’s a little more boring, but there you go. 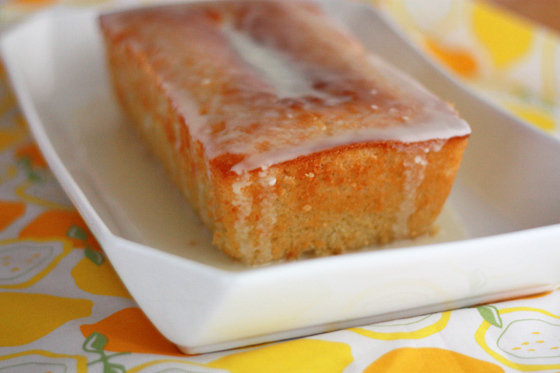 Also, the lemon syrup and yogurt keep the cake very moist, so it’s just as good the second day! Make the cake by sifting the flour, baking powder, and salt into a medium bowl. In a large bowl, combine yogurt, sugar, and canola oil. Add eggs one at a time stirring until well incorporated. Add lemon zest, vanilla, and 1/4tsp lemon extract. Taste (if you’re not nervous), and add more lemon extract if desired. Add the sifted dry ingredients to your wet/yogurt mixture all at once and stir to combine. During the last 5-10 minutes of baking, heat lemon syrup ingredients (1/3c sugar, 1/3c lemon juice) in a medium saucepan over medium heat until sugar is completely dissolved. Allow to cool slightly as you remove cake from the oven. Remove cake from the oven and let stand on a cooling rack about 5 minutes. Turn out onto platter or serving plate and, while still warm, drizzle with lemon syrup. Allow cake to cool completely. When cake is completely cool, make glaze by combining lemon juice, powdered sugar, and vanilla extract. If mixture is too thick to pour, you can thin it with a small splash of milk or more lemon juice. Pour over cake and allow to set before serving. I’ve never baked a cake with yogurt before, but this lovely creation of yours has inspired me to try! Looks lovely, and so moist. Love those bright lemony flavors! Hi there, I just came across your recipe via the FoodGawker website. First I would like to say to you that your cake looks lovely– thank you for sharing. Second, If you don’t mind, I’d like a little clarity on the directions as it wasn’t stated. At what point and in what kind of increment are the wet and dry ingredients combined? Kenya, great question! This is a quick-batter loaf cake, so unlike a traditional layer-type cake, you actually don’t have to add it in any special increments. With a layer-cake, you’re often adding 1/3 of the dry, 1/2 the wet, etc., until you’re finished. Here, you can go ahead and add ALL the dry ingredients to the wet at the same time, then stir to combine. I’ll be sure to clarify my directions. Thanks! umm…YUM! i need to try this out! Hi Emily! I made this cake yesterday – it’s oh so delicious. Thanks for sharing it with us! 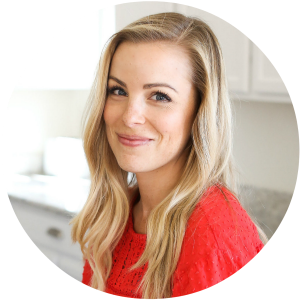 Hey, would you mind if I post your recipe (translated to Portuguese) on my blog? Leticia, feel free to post it on your blog. Thanks so much for asking! I made this today, with the addition of poppy seeds and an omission of the glaze (smelt too good to wait). It was unbelievably moist and delicious! Thanks! However, I would like to know what size pan you used — the batter looked too much for an 8″ loaf pan so I used a 9″. It filled up 2/3rds of the way after rising. Maybe I should have squeezed it into an 8″? I did use a 9″ loaf pan, I think. It’s the only size I have purchased before, and other than the mini ones, it’s the only size I’d really ever seen before. Glad you liked it! I’m thinking of making this cake for a friend of mine whose birthday is coming up this thursday. I tried this cake when another friend baked it for me and it tasted wonderful! Just wondering, have you tried using any other type of pan (eg. heart-shaped pan, circular pan, etc.)? Would you recommend it? AY- I’ve only made it in loaf form so far, so I’m not sure about transferring it to a different pan… if you do, I’d love to know how it turns out! I’m planning to try out your recipe. I was wondering whether before pouring the sugar syrup, I should punch holes in the top surface of the cake with a toothpick or similar object so that the syrup is absorbed by the cake. Amal, you certainly can poke holes with a toothpick. I found that while the cake was still warm it absorbed the syrup like a sponge and I didn’t have to poke any holes. It should work well either way. Best of luck! Thanks, Emily, for your reply. The cake is delicious! Though I passed on incorporating lemon zest (my lemons were very soft and thin skinned), the cake was nonetheless quite lemony. And the texture reminded me of a sweet quick bread: light, airy and with holes. Thanks for sharing the recipe. Cme – I’m glad you liked it! I’ve never tried it as a layer cake. I’m not sure if the layers would stay level…I’d love to know how it turns out for you if you try it! Best of luck!